The Chicken’s side of the story. . . This entry was posted on April 25, 2009 at 2:19 am and is filed under Uncategorized. You can subscribe via RSS 2.0 feed to this post's comments. 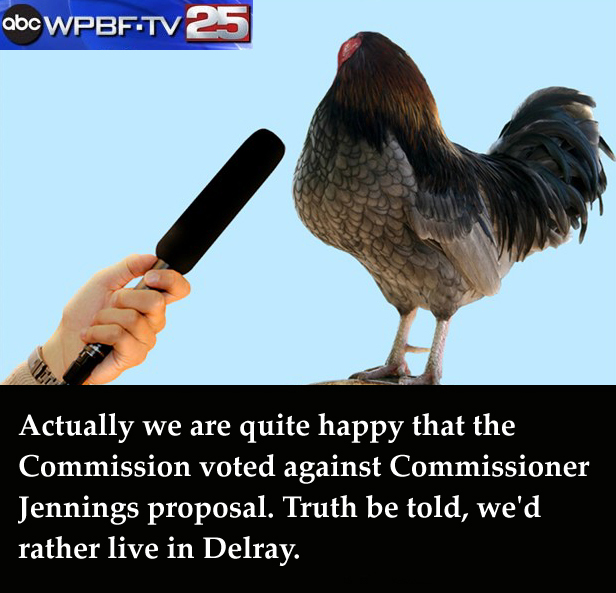 I think the chicken meant to say “Key West” not “Delray.” Must be an error in translation.